I AM off to join with the Ancient Mysteries group – week 2… but not before connecting with each of you on this AMAZING, DREAMY, POWERFUL New Moon Day. 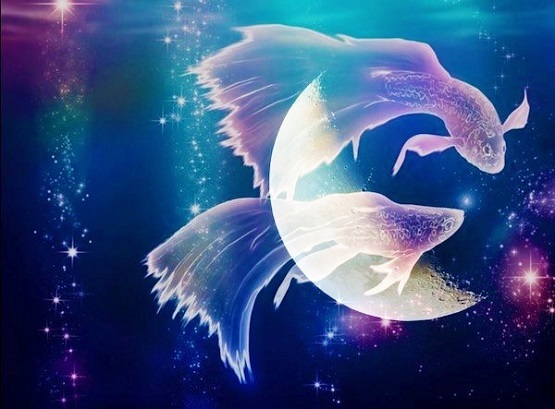 Officially this Pisces Moon arrives @ 9:11am eastern, but this watery and quite positive New Moon began emanating a strong invitation early Friday for me. First, I just want to acknowledge (while encouraging all of you to do the same) how palpable and powerful the feminine is everywhere in this now: in the wind, the night sky, the oceans, the mountains and soil, the crocuses and daffodils poking up through the still wintery soil, and the endless shades of green appearing to witness goddess Gaia rooting her love and sustenance down in every corner. I encourage you to TAKE A MOMENT to look around you, breathe this feminine energy in and then do something radical or at least imaginative to make your TRUTH known to this moon. Climb onto your rooftop, find a rock in the middle of a river, create a crystal grid around your self, get naked in the forest … and then SPEAK DIRECTLY to this Pisces Moon from your heart, in your own words. I AM grateful to belong to a Native American Lodge family who taught me beautiful rituals of deep reverence for Grandmother Moon ~ (Neesa) understanding your relationship with her and with Gaia is paramount to your well-being and sense of self. Whether you are in a female identifying vessel or a male identifying vessel – we are all being called to higher and higher expressions of ourselves with the Divine Feminine and a new relationship to power at the center of our hearts. This Pisces New Moon offers the opportunity to expand your gratitude for the waters of our Earth and the waters within. Water is life giving, it allows us to gently wash away impurities and sorrows, it cleanses, it anoints, it carries, incites movement and dissolves what no longer serves. Water is the great purifier – without it, we would cease to be. New Moons are a time to plant a seed to align yourself with your Soul’s growth – to reboot, rekindle, refine and reset your intention to be growing, expanding always in the direction of your highest light, the path of your truth, the essence of your spirit, the power of your ability to LOVE. Wherever you are and whomever you are with, take time to think about what is most essential to your well-being. What do you need now, what is missing now? This New Moon vibrates with the number 4 – if it resonates with you, create 4 wishes to offer onto the altar of this deeply feminine moon. Be precise with your wishes, don’t censor them – dream big with this Pisces energy, which has a powerful, spiritual influence. Pisces rules imagination, inner happiness, psychic ability, mystical awareness, spiritual healing, compassion, and interestingly, releasing helplessness. Take a moment to sit with each of those vibrations within you and consider how you might best utilize these Piscean energies over the next month. If you have been following the New Human webcasts and blogs this year – again and again we are reminded just how powerful we are as creators. Intend to release whatever you perceive as lacking or standing in your way. Imagine, with this Pisces Moon, trusting and remembering that Source/Goddess/LoveLight is always guiding your life and then WELCOME everything as an expression of that guidance. It is important to express your 4 wishes after the New Moon rises in your area – not before. Imagine your wishes rising with her. Once your wishes are planted as new seeds – Create sacred space, sit in meditation, stillness, following the breath. Perhaps acknowledge the 4 directions – Sky above you, earth beneath you, imagine bringing this new moon into your heart – and then imagine your heart inside this beautiful, mystical, magical pisces moon. Sit until you feel complete. Walk softly throughout the rest of your day. What a beautiful post about this New Moon! Thank you so much, and may your blessings overflow. This is awesome, it’s moving and beautiful. I felt it in my heart space. Thank you so much!